3 days until race day and everything is falling into place. The sluggishness in my legs from last week has gone away and instead my runs have seemed easy – like I’m holding back and I can’t wait to let go. I had another sports massage yesterday and the masseuse commented that my left hamstring which has been tight for weeks seems to be back to normal (and I agree). I met with my coach last night for the final pre-race pep talk and game plan and it was a confidence booster. My coach loves data – I think most do, but he really seems to love it. He came to the meeting with a cool chart that shows exactly why he is so confident that I will run a sub 3:35 marathon on Sunday. He marked off some of the key races I’ve had from the Long Beach Half until now and there is definitely a big improvement in my fitness level over that time! It was really cool to see it in graph form and although I already can tell from my workouts that I’ve gotten faster, it was nice to have it reconfirmed. Below, you can see the blue line is my fitness level and it has gone up and up and up (the dip in late Nov/Dec is our trip to Belize). 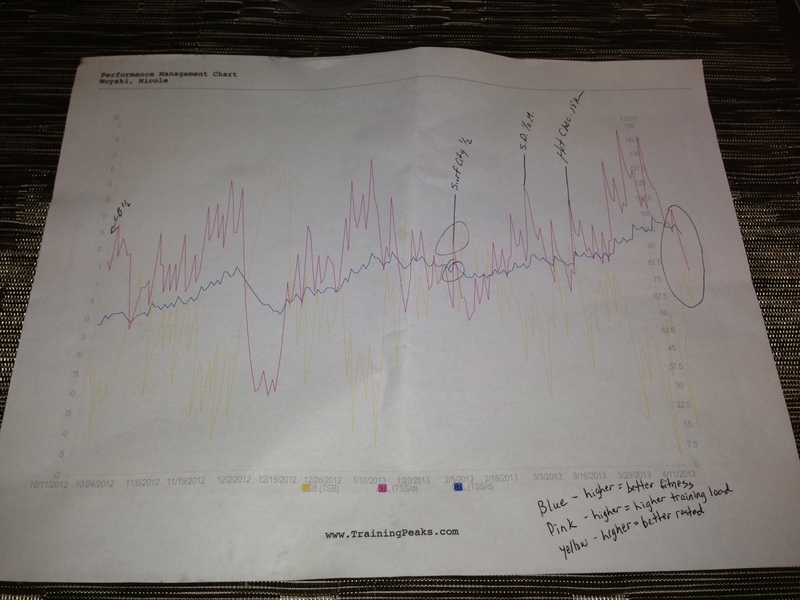 The red line is the training load and the yellow line is how rested I am. If you’ll notice, the last few weeks I’ve added a lot of training load and not much rest, which is probably why I was feeling so tired toward the end of that cycle. But the hard work paid off because it increased my fitness. According to this, I’m even faster than I was at the Hot Chocolate 15k. Basically, I will be “holding back” for the first 10 miles. This pace should feel easy to me but I shouldn’t let that feeling cause me to pick it up. I need to consciously work on holding back. After 10 miles, I can release a little bit. He says this method works (3 segments – 10 miles, 10 miles, 10k) not only for the physical benefits of starting out slower and allowing a proper warm-up but also psychologically it works well because in the first 10 miles feel like a breeze (or somewhat of a breeze) and by the time you get to mile 10 you are ready to get the party started. By Mile 20, if I really have paced myself properly, I should be able to pick up the pace to sub 8 and finish strong. The psychological benefits of this are even greater because most people struggle during those last 6 miles and I will be passing a lot of people. I’ve only run 2 marathons (Ironman marathon would be the 3rd but it doesn’t really count in this sense) so I can’t really say I have a ton of experience with 26.2 miles. I do know that no matter what, those last 6 miles hurt. Especially the last 2 miles. The above pacing plan in my mind seems great but I do know realistically those last 6 miles are going to hurt like hell, even if I am able to pick it up. Even if I don’t pick it up, they will hurt. But, that’s why I’ve pushed my limits during training and gotten myself used to dealing with that pain. I’m ready for it. Other than the pace there are a few other things I need to think about to ensure I have a good race. The course has a lot of turns so I need to be really conscious of always running the tangents, even on the path along the river which will have slight curves that I won’t realize are there. I am planning to carry my handheld and refill it at least once. I’m going to unscrew the lid, put the lid in my pocket (my Lulu capris have huge pockets so this works well!) and then approach the aid station and ask some of the volunteers to dump their water into my bottle. If they aren’t able to help me, I’ll just stop and refill. But I think that carrying the water bottle will help me so that I can ensure I’m getting lots of small sips of water throughout the race and also ensures that I will always have water when I take a Gu (one every 40 minutes, as always). At some point in the last 6 miles I will most likely ditch the water bottle as I’m sure it will feel especially heavy in my hands at that point. Also, I plan to run the majority of, if not all, of this race with my bestie Asia. I think we are both trained to qualify for Boston and I love having her by my side during races. We push each other and make each other better runners and I’m so glad she is making the trip to Eugene with me to run! We tend to split up toward the end of races but usually we stick together for the majority so I’m expecting that to happen at Eugene. I fly into Eugene on Friday afternoon and will be meeting up with Asia (running full) and Page (running half – but as a training run since she is training for Ironman CdA). We are renting a car and staying at a hotel about 2.5 miles from the start but less than a mile from the expo, which is also one of the free parking areas with a free shuttle the start on race day. There are SO many bloggers headed to Eugene and I can’t wait to meet them! Some people are meeting near the river for a shake out run on Saturday followed by breakfast and there is a big celebration at a local brewery at 3 p.m. after the race. I really hope that Asia and I are celebrating a BQ! The biggest thing I need to focus on for Friday and Saturday is NOT eating a ton of junk and NOT walking/standing for too long. In the past I’ve made the mistake of carboloading too much and eating crap food. 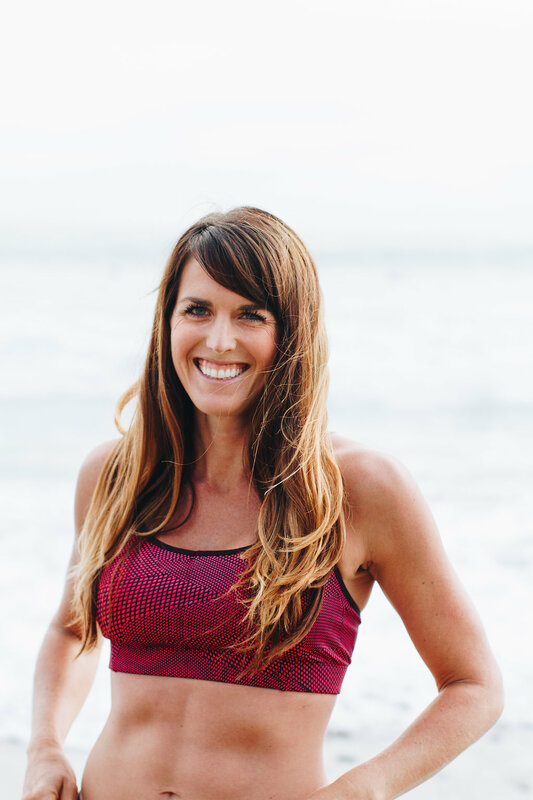 Before the San Diego Half I tried a new strategy – instead of switching my diet to the typical pre-race diet of white flour carbohydrates, I just ate what I normally do – brown rice, veggies, whole grains, fruits, etc. I ended up feeling great on race day. My plan for the next few days is to eat slightly more carbs in general, but not overdo it. The biggest meal will be brunch/lunch Saturday and I will probably eat pasta for dinner on Saturday but nothing too crazy. Taking Gu during the race will be enough fuel to get me through 3.5 hours. Eugene does have a live race tracker and a finish line camera! If you want to track me, my bib number is 2462. The link for athlete tracking is: https://register.bazumedia.com/event/tracking/eventID/3271 The race starts at 7 a.m. so I expect to be finished by 10:35 ! I’m guessing the race day finish line video will be on the main website http://www.eugenemarathon.com/ . « Eugene Marathon Race Week! first off congrats on a serious round of training and feeling so good heading in to the race!! I love the plan of picking up the pace over time…not that 10 seconds is huge, but it is 🙂 good luck! Wow, I even feel reassured by that chart! I will be cheering for you from afar! GOOD LUCK! good luck! i am pulling for you! 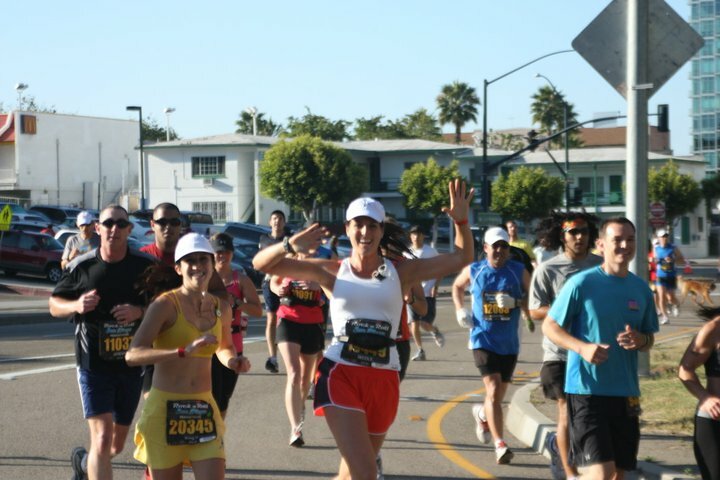 You and your coach have a great pacing plan – go out there and get it! You are ready! Enjoy race weekend! You (& Asia) are ready to f*’n crush this little jog! I’ll be watching the whole way! Good luck! Hahah yes – little jog!!! Thank you! Congrats on a great training cycle, you have worked really hard, I can’t wait to track you and wish you the best of luck! Wishing you the very best in your little run with many friends! I am training to run my first marathon at the end of May and I appreciate your detailed posts. Good luck. It’s been great to read about your experiences as you train for this – good luck! Best of luck to both you and Asia! I’ll be thinking of you guys Sunday morning and anxiously awaiting the BQ finish times! You got this. Isn’t blogging crazy? I have never met you and yet I am tracking your progress in Eugene and really, really hoping you BQ! Your discipline and determination is inspiring!